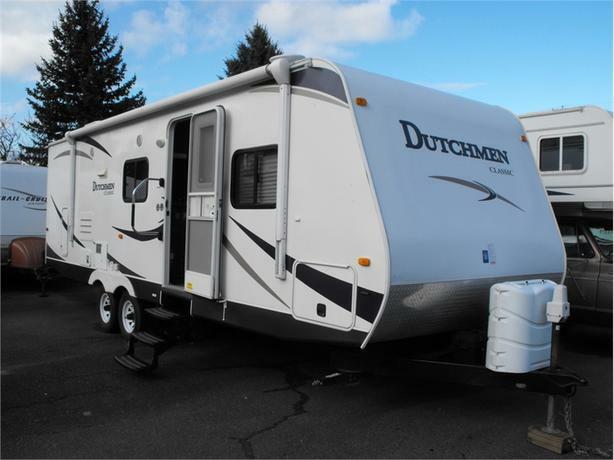 Dutchmen Manufacturing has a long history of innovations and market leadership that dates back to 1988. They were acquired by Thor Industries in 1991, and are now one of the largest brands of conventional and fifth wheel trailers in the world. Dutchmen Mfg. produces several widely recognized brands of recreational vehicles which include; Aerolite, Aspen Trail, Breckenridge, Coleman, Denali, Dutchmen, Infinity, Kodiak, Komfort, Razorback, Rubicon and Voltage.